At Commercial Appliance Repair, we’re always amazed by the amount of customers who say how ice machines are not made the way they used to be. Many folks have commented that the newer appliances have more technology but are constructed as efficiently as it was. Important materials and parts have been getting replaced with more cost effective materials. This type of strategy has created an opening for companies to sell in higher volume and make more revenue for the year. We are not financial analysts here, so the statements on this webpage are our opinion only. We are professional commercial appliance repair technicians and we specialize in ice machine repair in Los Angeles. We at Commercial Appliance Repair understand the root of the customer’s statements. We believe it’s our duty as professionals to say that the ice machines that were built years ago weren’t designed to meet as many functions as the machines that are built in today’s market. We want more options and it requires more technology integrated in the machine. Having a more sophisticated ice machine with functions including producing small to large ice cubes require more parts. This in turn can create more repairs in the future. It’s interesting to note that most of our client care deeply about their commercial ice machine. Los Angeles is known for warm weather and beautiful scenery and because of the heat; ice plays a big role in beverages. When most people think of coffee or tea, they think of ice coffee or ice tea. Ice is so important for business operations that you may lose customers because of a lack of ice. 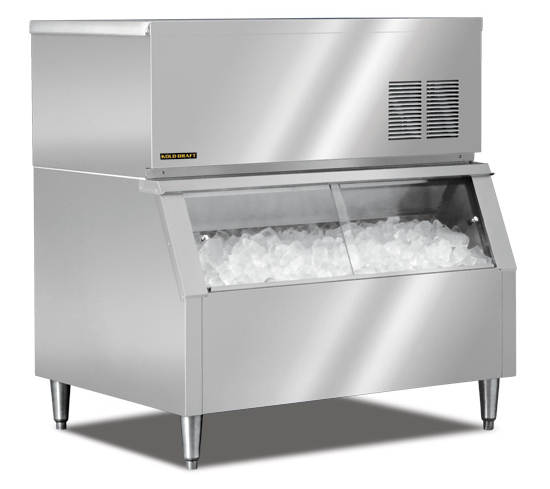 Buying ice can be expensive, so it’s worth it to buy a reliable ice machine for your business. In a perfect world, it would be ideal to set up your commercial ice machine and get a good fifteen years of reliable use before it needs any type of service. It would be nice but it’s highly unlikely. Having regular maintenance work done can prevent your commercial ice machine from experiencing an appliance breakdown. Service calls are very important to keep your appliance working as efficiently as possible. Much like a doctor’s checkup, an appliance requires ongoing checkups to ensure the effectiveness of its systems and functions. Having our team of experts come to your location and run a diagnostics to ensure that your ice machine is clean will prevent further damage in the future. It really doesn’t matter what type of commercial ice machine you have. What matters are the parts and its functions! The more features your ice machine has, the more maintenance it will require. Features are unique and can be costly at times. One feature can disrupt the entire machine from operating correctly. Like we say over and over again, proper care and maintenance will help extend the life span of your appliance. Great care will reduce the number of appliance repair you’ll need to have.